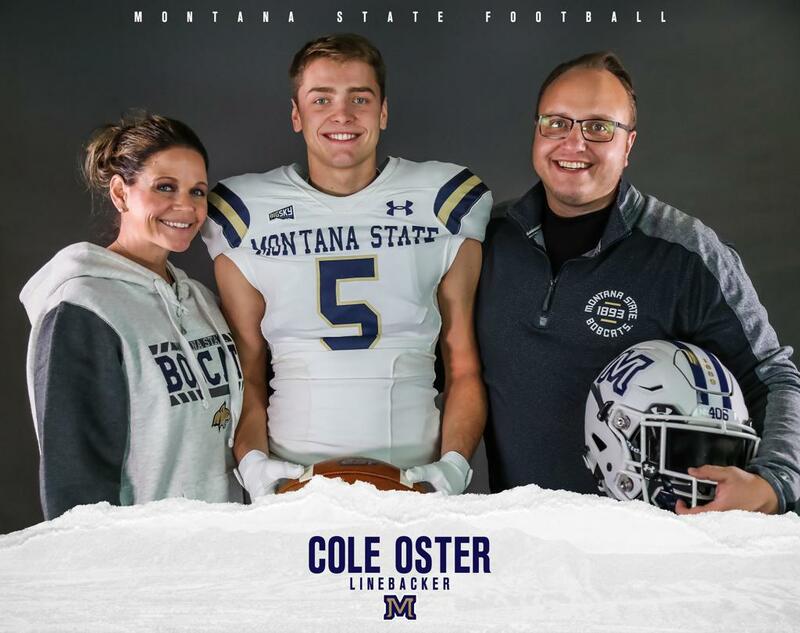 Cole Oster, the 6’1 208 LB Running Back and Linebacker from Castle Rock made his commitment to Montana State University official on Wednesday by signing his NLI during the early D1 Football period. Oster was team MVP, Academic All-State, 1st Team All-League, and League Athlete of the Month (October) for Castle View High School in Castle Rock, CO. During his senior year, he helped lead his team to the 2nd round of the state 5A playoffs, delivering the program’s first ever 5A post-season victory. Oster had an impressive year while playing in a historically competitive league. The South Metro League fielded 4 playoff teams and eventually produced the state 5A champion. Oster led his team in scoring with 17 touchdowns and three 2-point conversions. Rushing for over 1000 yards, Oster amassed over 1400 total yards in one of the state’s best leagues. On defense, Oster was the team leader in sacks and take-aways while landing in the top 3 for tackles. Oster now has been awarded All-League honors on both Offense and Defense. Oster was also recognized as the South Metro League "Athlete of the Month" in October along with his 2nd consecutive Academic All-State award. His performance in 2018 earned him the team’s Most Valuable Player honors. Oster was a co-captain of the team, is a member of National Honor Society and has maintained a 3.7 GPA. The High School senior actively mentors a 6th and 9th grade student and is an advocate against bullying. 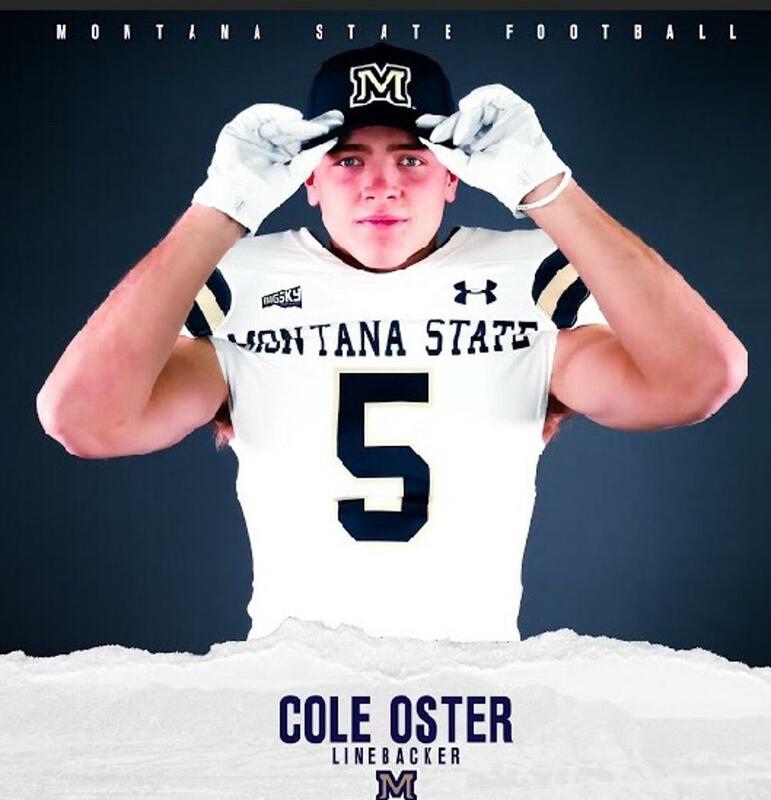 Oster was recruited by a number of schools including Colorado State, Wyoming, Drake, Northern Colorado, Montana, CSU-Pueblo and Nebraska-Kearney. 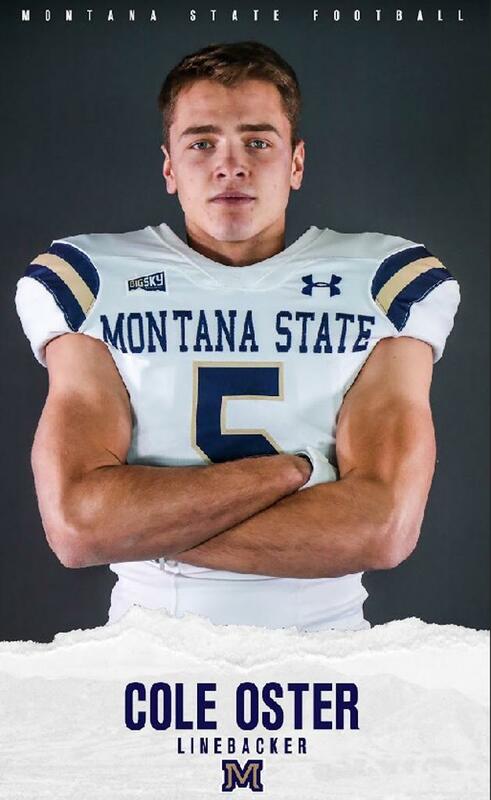 "Montana State was at the top of my college list since the beginning of the recruiting process. I love what the town of Bozeman has to offer, the quality of education and the direction of the football program". Montana State made it to the second round of the NCAA Division 1-FCS playoffs in 2018 and finished with a Top 25 national ranking. Oster also spoke highly about the coaching staff. "Coach Choate and Coach Gregorak are the types of coaches I want to play for. Coach Choate has a very clear vision for where the program is going and I knew I wanted to be part of it. Coach Choate is a lot like Coach Casebier, who has helped me to be a better football player and a better man". Coach Todd Casebier, the 2018 Mile High Sports Coach of the Year is the Head Football Coach at Castle View High School. Montana State will open against Texas Tech in Lubbock on August 31st of next year. While Oster is expected to redshirt in 2019, NCAA D1 rules were changed in 2018 to allow participation of up to 4 games without burning a year of eligibility, leaving open the chance that he could see some action in 2019. Pictured above are Cole's parents, Charles and Farah Oster.